I used to teach Preschool and first grade so I the love of teaching children runs deep in me. When I taught I thought weather learning activities were always fun. 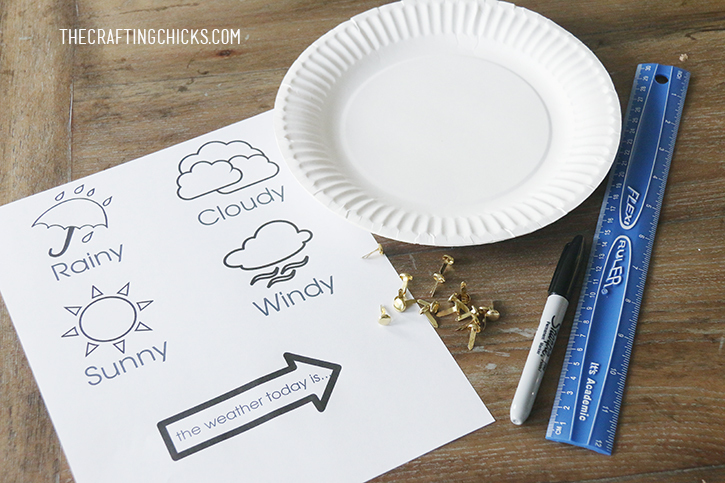 This week we made this cute Weather Chart Kid Craft to keep track of our weather. 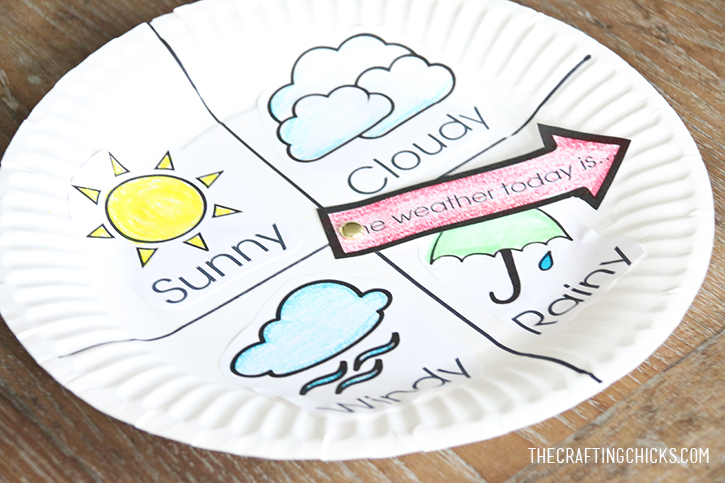 It’s a fun way to keep track of the weather because each day the kids can see what’s happening outside. 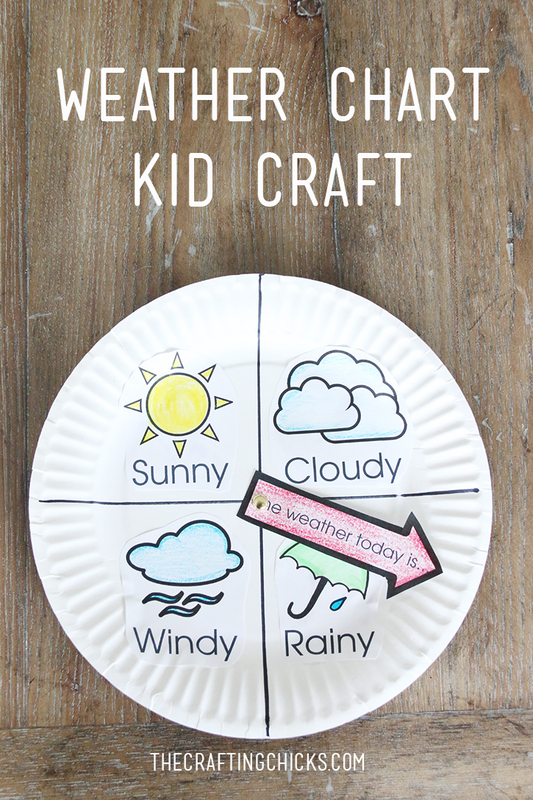 From rain, sun, wind, and clouds this Weather Chart Kid Craft has you covered! 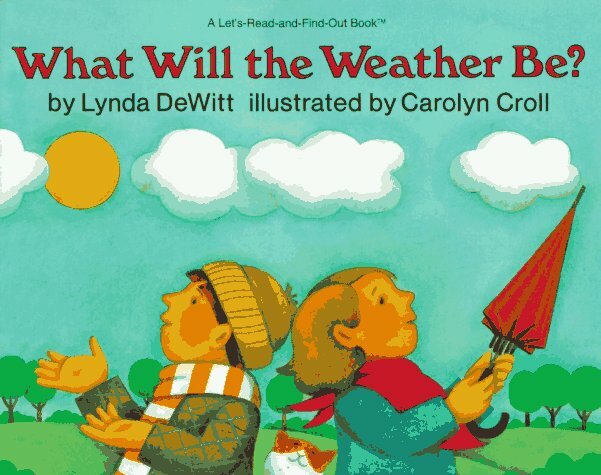 And to go with weather week, we love the book “What will the Weather Be?” by Lynda DeWitt. With a black marker and ruler, divide the paper plate in to 4 equal sections. Color the pictures on my Free printable, (download below), cut them out, and glue one in each quadrant of the paper plate. Using a brad, attach the arrow. 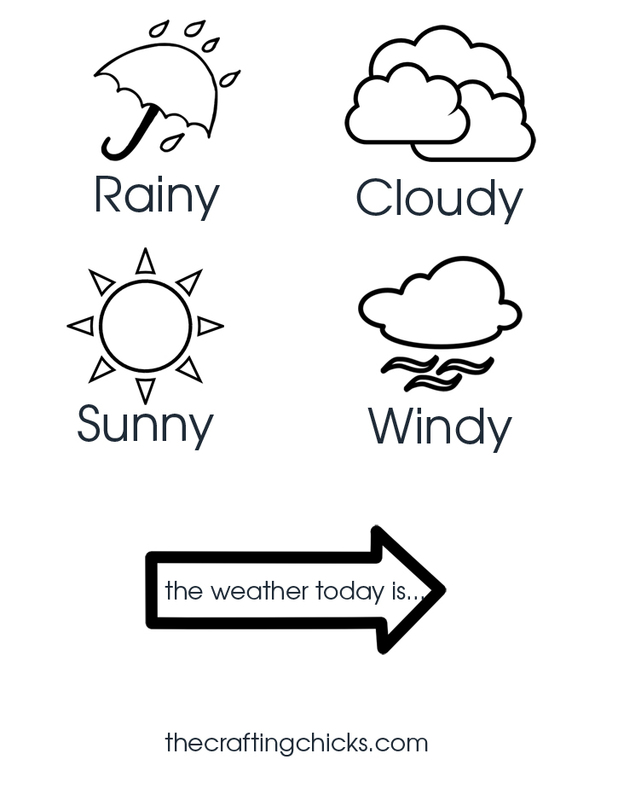 And there you have it, a sweet and simple weather chart. 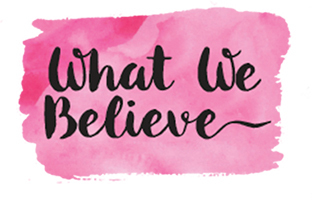 You can find the rest of the Weather Week Activities, books, and snack ideas here. 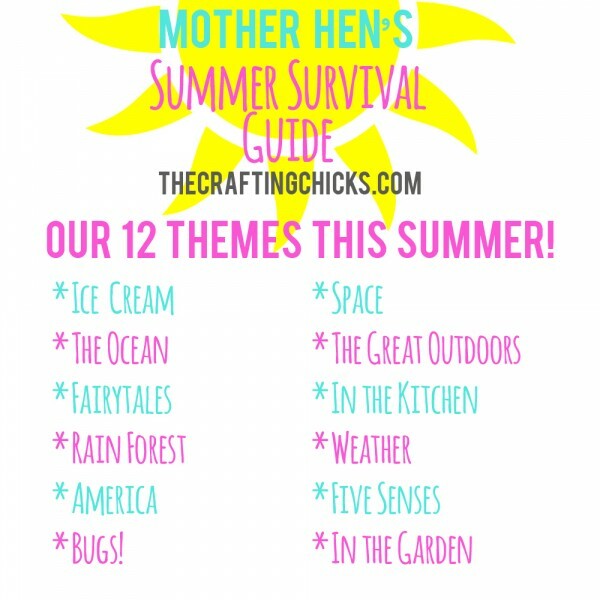 And you can find the full guide with all 12 themed weeks of our Summer Survival Guide 2015 here. Please send me the weather chart. The download button is not working. I think that this chart is awesome and I know that my grandsons will like it as well. Thank you! If you click on the download button it will open another screen or tab on your computer. You just need to print or save from there. Let me know if it still doesn’t work for you. Thanks!